All are payable via Paypal or credit/debit card. Your bank or Paypal will automatically convert this into your local currency. The best value way to buy our training is to buy our Bundle (The Working Kids Yoga Teacher) - you save $150 on the above prices. 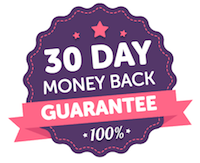 If you’re not fully satisfied with this programme for any reason, please tell us why within 30 days and we will give you a full refund of your purchase price.